Begins on Sunday and lasts a week. 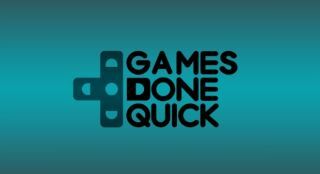 Awesome Games Done Quick takes place every January, and this month is no different. The website confirms that we can watch speedrunners break apart many of your favourite games from January 8th (the charity event concludes a week later on the 15th). How many times will we have to hear whether donators would prefer to save or kill all the animals during those seven days? Too many to count, probably, but it's a wonderful, worthwhile event nonetheless, raising money for the Prevent Cancer Foundation. The schedule for AGDQ is now live, and while there are many returning favourites, there are a few games I don't remember seeing before, including sci-fi puzzler The Turing Test, Doom 2016, cute freeware platformer Crowtel, and ultra-hard arcade-'em-up Flywrench. I'm particularly interested in seeing the run for Arkane's orc-kicking simulator Dark Messiah of Might & Magic, and, naturally, Jumping Flash! 2.